It appears that SB 526 is connected to a proposal by the Governor and would only be for newborns. But the bill itself is written very broadly and could include every home in Oregon. NOTE: This alert was last updated on April 8, 2019. See notes below. 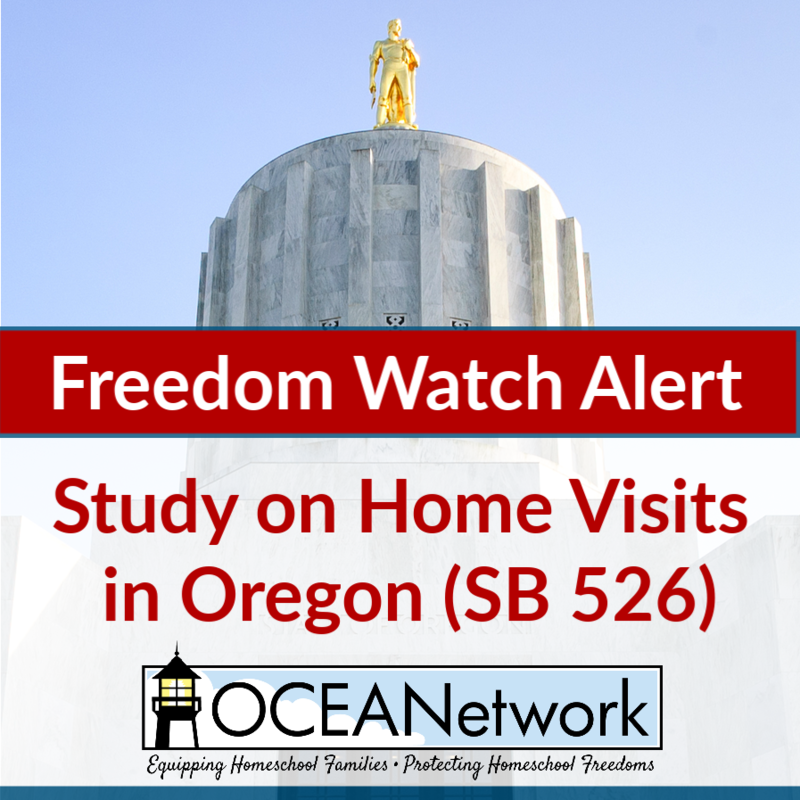 SB 526 authorizes the Oregon Health Authority to “study home visiting by licensed health care providers.” It does not specify any limitations on what types of home visit programs could be considered. Specifically, mandatory programs are on equal footing with voluntary programs as far as the study and its recommendations are concerned, according to the bill language. This article explains the difference in effects between voluntary and mandatory nurse home visit programs. SB 526 is scheduled for a hearing this Monday at 1:00 p.m. before the Oregon Senate Committee On Health Care at the State Capitol. Please join us if you are able. Senate Hearing Room A. If you are concerned about the scope of this study into home visiting, please contact the Committee members and ask them to limit the scope of this study to voluntary programs. Give your own reasons. Let your friends know so they can be heard, too. Thank you for standing with OCEANetwork in defense of Oregon families. The amended bill was passed out of the Health Care Committee and is now headed to the Joint Committee On Ways and Means. OCEANetwork believes this strong protective language is a direct result of your messages to the Committee expressing concern that families not be forced to participate in the program against their will. We will continue to monitor SB 526 and let you know if further action is necessary. Thank you for standing with OCEANetwork defending the freedom for Oregon parents to do what is best for their children. You can help OCEANetwork protect the rights of Oregon families to do what is best for their children by becoming an OCEANetwork Supporting Family. In the email we sent out last week, OCEANetwork asked you to tell the Senate Committee on Health Care that you wanted any home visit programs to be voluntary. SB 526, as written, does not specify that, and we are thankful for those who took action. So, what happened? Basically, the Committee scheduled the hearing on the original bad bill’s wording. The bill could have easily produced mandatory visits, according to the text. However, at the hearing, the message was to disregard the weaknesses of this original wording and expect that everything will be detailed in an amendment to the bill later. Although the language for that amendment is not yet available, the assurance was that it will be Voluntary and Offered, not mandatory. It is unusual (and bad form) that the Committee decided to hold the hearing on the bad bill itself and then say we will all know later what will be in the actual bill, rather than just wait until the bulk of the bill content was available before holding a hearing. However, we are hopeful that the amended bill will, in fact, include the language we desire. The OCEANetwork Freedom Watch Team will continue monitoring the situation to ensure that occurs. You were diligent in asking that “voluntary” be added to the published bad bill. Thank you for your support.